I am the head coach and owner of CSB Body Fusion. CSB body fusion is the combined result of 26 years of passion, dedication, trial and error. I fell in love with the iron at age 13, wanting the emulate the supermen of the Time, Arnold Schwarzenegger, Tom Platz, Mike Mentzer. Their strength and size defied the laws of nature. Soaking up as much as I could about training from magazines, anyone who would lend me an ear and advice, Google didn’t exist for me then. I quickly realised the secret lied in quality nutrition, and so began a lot of time, effort, messing up, trying again. On every which way and in between to lose or gain weight, to craft the perfect form. I was fortunate to work for Golds gym for a couple years as my first job, which was rich in IFBB athletes coming in from all over the country for comps, run then by the IFBB SA President. I then was very grateful to know and learn from the greats like the late Chris Scott (NABBA president at the time and trainer of many a champion). I then decided to get a real job in the film industry for the next 15 years as an engineer, I never lost my passion for lifting nor nutrition, spending every free minute researching and applying. As these things go, family and friends started asking for advice and I jumped at the chance of Guinea pigs. I had much success with them and this then evolved to social media, and the success, in general, continued for anyone that would listen and apply. 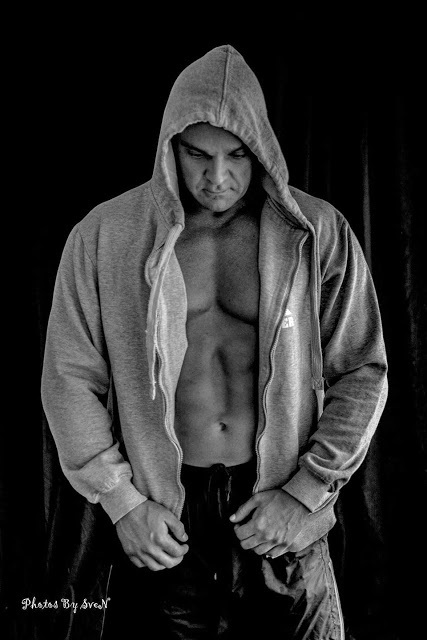 Which all evolved into what is now CSB Body Fusion dealing with people from all backgrounds and goals around the world, my athletes have won numerous competitions in their respective divisions, from the Rossi Classic to IFBB. In all the comps we have undertaken we have never failed to place and place well. A true reflection of their dedication and sacrifice to be the best they can be. I continue to be passionate, soaking up everything I can, everyday sitting up to 1-2am researching everything and anything linked to training, nutrition and the human condition, and attending whatever course/ Certification is going on at the time. The more I learn the more I realise how much there is to learn and that there is no end as nutrition and training continually evolves. I live through my clients, their ups and downs, their achievements and their failures, and together we map the way forward day in and day out, using current science and proven effect protocols, where health, not numbers is our main goal, whether it’s to lose a few kg, make a massive life-changing transformation, or step on the competitive stage in the best condition they are capable of to battle it out with equally passionate and dedicated individuals. We buck the trend of fad diets, quick money making schemes and the unscrupulous, just waiting to take your money. Your health; proven nutritional advice, and a solid working relationship no BS approach comes first and foremost. So if you’re sick of laughable soup diets and detox’s, or a pill promising you 10kg in a week, Join CSB Body Fusion today and let us help you achieve your goals, in a sustainable manner, together. I want to be part of something greater than myself, where those around me refuse to let me be “normal”. I want to challenge myself insatiably. I want to kill the old me every single day, and have a new me rise from the ashes renewed, stronger mentally, physically and spiritually. I want to be so intimate with being pushed to and past all of my preconceived limits that pain, suffering and accomplishment gain new definitions in my mind and seem ludicrous – even manic to the world around me. I want to suffer beautifully, in a manner which is befitting an heir to such an amazing gift. I want to know, for a fact, that I can make the impossible possible and I want to rip the preconceived, bastardized barriers out from underneath the feet of the culture around me.